The lovely Cedarwood Lakeside family motel complex is situated on 2 acres of landscaped grounds in a quiet residential cul-de-sac in Rotorua which means there is ample space for the kids to run around, ride their bikes or just kick around a football. Our family friendly Rotorua motel boasts many things to keep the children occupied during your family holiday including 2 trampolines, swings, slide, petangue, heated swimming pool, outdoor and indoor spa pools and for the family groups why not take advantage of our large picnic area with 2 BBQ’s. If the weather is not so good we have 32″ LCD TV’s and Blu Ray DVD players in every room. We even have a 100+ complimentary DVD library at your disposal to make sure your family holiday is entertaining. 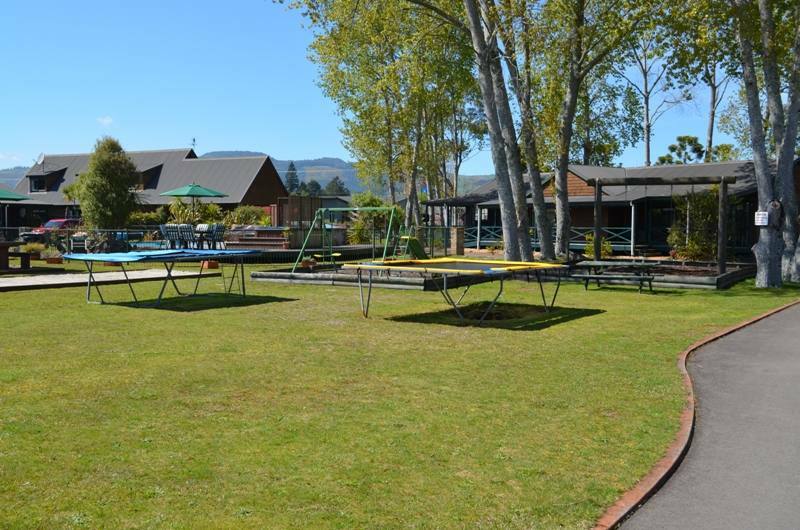 These facilities along with the beautiful scenic location makes Cedarwood Lakeside Motel & Conference Venue the best choice for your family holiday in Rotorua. Take a look at some of the other family fun activities you can do whilst staying at our Motel in Rotorua.